VR Long Range King Introduction: This model is our new upgraded version. 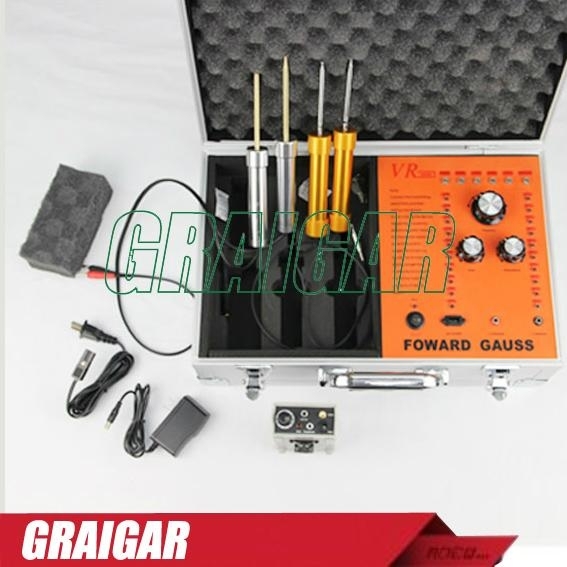 VR Metal Detector System: The VR Ultrasonic Long Range King is an advanced Metal Detector System utilizing advanced FORWARD GAUSS technology that is both an audio and visual detector. 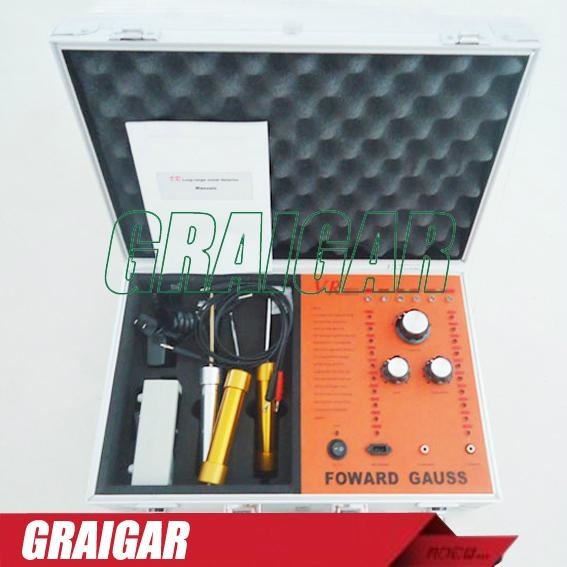 This metal detector was first used in the field in 1984 and the FORWARD GAUSS technology that it uses has proven to be (by far) the most successful. This system was originally developed for professional archeologists and treasure hunters and has been used both on land and under water. With the development of faster and more complex processing units and a reduction in the cost of materials, we were able to begin offering this breakthrough technology to the general public at a much more affordable cost. 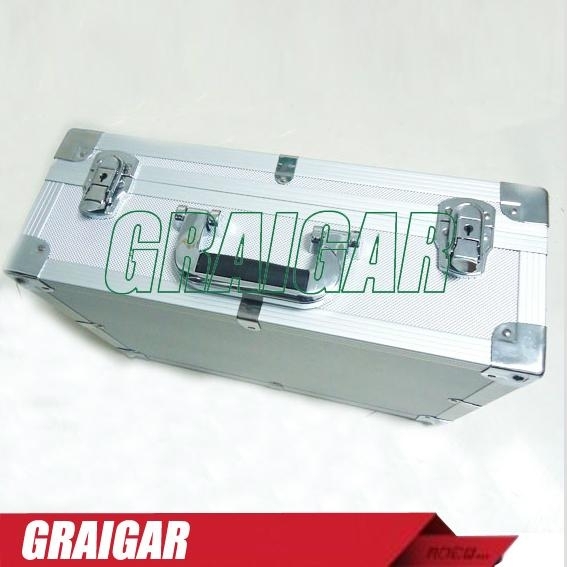 Part of the success of this metal detector system is that it does not look like a standard metal detector. Instead, it has the appearance of a fine, well manufactured piece of scientific equipment that one might expect to find at an archeological site. The VR Long Range King is custom built in a sturdy, hard side, padded case with two locks. 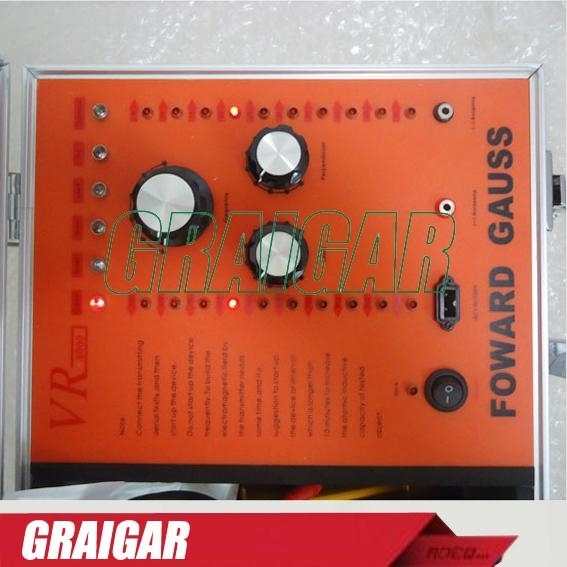 The transmitter is case mounted and includes the Standard Six elements with selector switch. 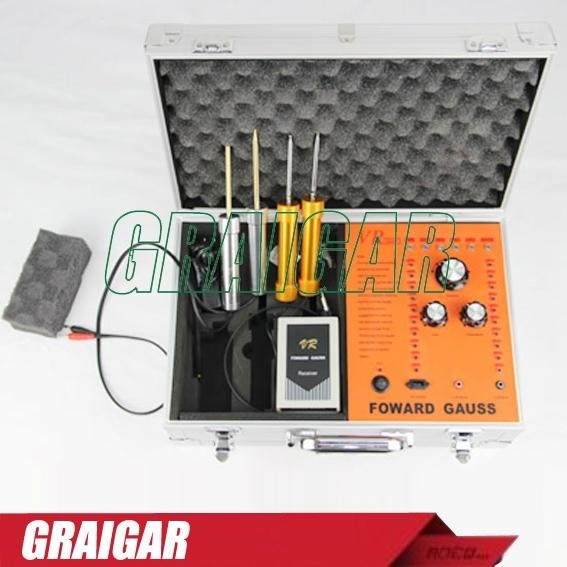 The system includes an installed, rechargeable gel cell battery with charger, transmitting antenna, receiving rods and receiver with belt clip, headphones and user manual all inserted into the specially fitted case. (1) We add a function of indicator lights. These indicator lights show 20 different distances between the user with a receiver and the transmitter. (5) After tracking target, you will have some idea of the identification and the exact pinpoint. (6) The face (front) of the transmitter has six LEDs (channel indicator lights) across the top; each is labeled for a particular element.